Designer Sofas for You Now Delivering to the Isle of Wight! Since our inception, Designer Sofas 4 U have been committed and dedicated to providing an exceptional service coupled with stunningly made, hand crafted furniture – all at a reasonable cost. 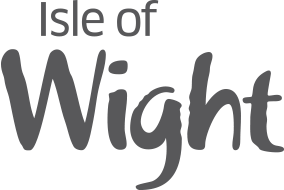 With over 10 years experience of creating the most beautiful furniture, in-house, our team of experts have taken customer feedback on board and we now are proud to say we have extended our delivery options to include the Isle of Wight! When delivering your items, our highly skilled team come direct to your home in specially equipped furniture vans and all goods are always handled by trained furniture delivery staff meaning you can be confident that you’ll get your item delivered with care. We always take utmost care when handling items and, as such, we provide approximate dates of delivery next to each item description. Delays can and do happen, and in this instance, we’d contact you to notify you of any delays if or when they occur ensuring you’re always kept in the know and we can attempt the delivery on a day and at a time that suits you. Our new delivery service to the Isle of Wight starts immediately and you can find out about specific lead times by contacting our sales teams or through corres­pon­dence once you’ve made your order. Don’t forget, our flexible payment options also mean you can enjoy a 0% APR for 12 months on all sofas now with our buy now, pay later service. To find more about what we can do for you, be sure to contact us on 01254 268590.